Rory “RiotLamz” Alderton is a Senior Animator for the League of Legends game developer, Riot Games. After almost six years of working at Jagex Games Studio he joined Riot in April of 2013 as an Animator, and was then promoted to Senior Animator in May of last year. He’s one of the people responsible for making the iconic battle moves for the many playable Champions in their famous MOBA game, which is played by over 27 million gamers from around the world every single day. 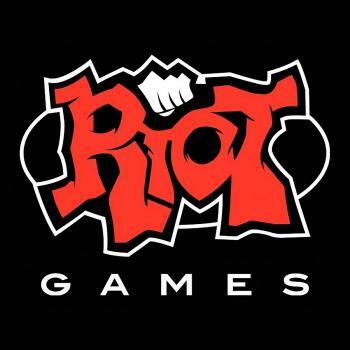 We recently ranked Riot Games in fourth place in our 2014 Top 100 Most Influential Video Game Studios list, and last year their Season 4 World Championship reached a prize pool of $2,130,000! To help readers get to know Riot Games better we talked with Rory Alderton about his work at the studio. How and when did you realize you wanted to become an animator? Videogames and animation are things I have been passionate about as far back as I can remember. All the way back to when I was 5 years old playing on my first gaming machine, the Amiga 486. I feel lucky to have been around when I have, and been able to see the industry get to where it is today. So many awesome games and platforms launched. The animation side of my story started in 2001. I’m 15 living with my parents and it’s the year the original Max Payne game is due out on PC. I had been super hyped for this game since its earliest reveal due to the John Woo bullet time nature of its gameplay. After Max Payne was released that year, I was on the phone with a friend one day and we were talking about how incredible it would be if there was some way we could create our own melee combat moves for Max and then see them in that amazing ‘bullet-time’ slow motion effect, which at the time was super fresh and looked so cool with all the moving cameras and stuff. That phone call ended I ran to my room and began researching online if anything we were talking about was even possible and how?! I hadn’t the slightest idea where to start with this but with a desire to be creative combined with my passion for games I just stuck with it and after a while came across official modding tools supported by the developers of Max Payne, Remedy Entertainment. Amongst the tools were animatable rigs for use with 3D Studio of Max Payne’s in game character along with real asset .max files like the run and idle animations the developers at Remedy made for the actual game, so that’s pretty much how it started. Fast forward 1 year and I’m totally addicted to using 3D Studio, animating for my own Max Payne mods. I had also joined part of the Max Payne’s largest modding community at the time called maxpayneheadquarters.com. I’d be helping out with animation work for any mod projects that would have me on their team. As my animation skills were slowly improving using 3D Studio, so was my knowledge on how game animation systems and scripting worked in the Max Payne engine through constant iteration and learning the process of trying to implement my animations. The time finally came when I was ready to release my first mod with animations I had created. My mod was called ‘Payne Again v1’. That feeling will stay with me forever, the day that mod went live and I saw people commenting on and enjoying what I had created. It totaled around 50,000 downloads through its lifespan. I immediately started working on several more Max Payne mods after its release but the time came where school had finished and it was time for me to go to university. I never thought for one minute that I could actually do something like this for a real job because I had so much fun doing it. I got a full time job as a waiter at a local restaurant to support myself. This was only meant to be a stop-gap as I decided what I was going to do with myself next. I had to get some sort of real career in order to not look like a complete failure. Things didn’t quite turn out too good and I worked this waiter job for like 5 years and I was super close to going down this path of being in the food and dining industry. At this point all modding had stopped and the Max Payne community had pretty much disbanded but I had never really completely given up animating in my spare time whenever I could. It was a lot, lot less frequent now but it was still something that I found I could do to express myself and get a creative fix I needed every now and then. I’d usually just make the odd run cycle or attack animation. It was always a nice reminder of those days modding Max. Then one day out of nowhere I get an email from a friend who was part of my old Max mod team. He’s living in Scotland, I was in England and he is doing this project of his that needs some animation work and would I be interested in some unpaid collaboration. I could use the stuff on a reel if I wanted afterwards he told me. I hadn’t realized the importance of a strong demo reel at this point. So we did this project for about 2 months and it was during this time I realized that there could actually be an opportunity here for me to pursue the animation career I would have loved to do years ago. I had my first animation reel together soon after this and started to spam it all over the internet, so many companies and so many rejections. Amongst many I emailed the developers Remedy Entertainment with my mod story and they gave me some great advice to aim for an entry level position as it’s an incredibly competitive industry and to not give up if you do get rejected as it’s going to happen constantly in your position and it’s all part of the process. A ton more rejections and persistent phone calls later I finally landed an animation test for a company called Jagex in Cambridge, UK, which I passed and got my first job as a Junior Animator. I finally met the man behind Max Payne, Sam Lake at E3, 2013. He was the face of Max Payne’s character in the first game and Lead Writer at Remedy Entertainment. Where did you go to school at? What was the lesson your college taught you that helped your future the most? The advice I am thankful for most came from an email reply by one of the developers of Max Payne who replied after I had contacted them about any job openings. I was simply told not to give up and get discouraged by rejection. You will get rejected many times before you get a job in this industry and it is all part of the process. If you have the persistence and a sheer determination to get there, you will. For all the art students reading, what do you think is the most important raw skill involved with animating? For me a solid vision of what something should be in your mind. I find that I’ll sit around for days sometimes thinking about several different possible outcomes on how the piece I’m working on should feel in game. Thinking about the texture, timing, rhythm, posing and appeal of a piece. When you’re at the computer creating that vision you need to make sure you’re patient. Nothing happens overnight and it’s super important to just have the patience to see something out to the end. There are going to be moments where you’re probably going to have to scrap several poses and course correct yourself, don’t shy away from doing this. If you’re super happy with your block out and you think it’s solid the splining and polish pass will be far more enjoyable. If you have this patience you can constantly learn from mistakes and gain knowledge. What was the first animation you ever worked on for Riot Games? In what ways are animations in MOBA games unique from animations in other game genres? The first animation I worked on when I joined Riot was an animation for Jinx. It was an idle variant. If you let her idle for a while she will do this move where she compresses her gun into the ground and then lets it spring up over her head and catches it. Animations in MOBA’s, I can really only speak for League here, are different mainly because of our camera view. We push all our up and down motions a lot especially during run cycles to show more weight from the top-down perspective. We also try to angle everything slightly upwards like champion heads so you can see a bit more of the face from the game view. Our animations have to be very snappy and responsive since the cast times range from .25 to 1.0 seconds on most abilities for each champion. This is the amount of time after the player input until the action has an effect on screen. Usually very quick so it’s crucial to get some super broad exaggerated posing into these moments so it feels satisfying for the player and delivers a nice impact for the gameplay. Describe a normal “day in the office” for animators at Riot Games? Can we see some photos of your work stations? A normal day for me will consist of an animation standup in the morning, where all the League animation teams meet. Skins team, Champion rework team and Champion team. We go over what we are working on and any company happenings that day. Once we have done this quick sync-up I head back to my desk and start working on my current task. I work on Champion team so it’s usually a new champion for League. I’ll also do a walk around and check out what the other guys are working on every now and then. We have some new hires at the moment and I really want to try ensure we unify our in-house style of animation moving forward. In the afternoon Ill meet with the pod who I’m creating a champion with. All the other disciplines like VFX, Gameplay, Audio, Concept, 3D Modeling, Lore and so on are all involved in this and we will go over current progress and offer creative feedback. Once this meeting is over it’s back to my desk where I animate. We also have animation reviews a few times a week where we get to meet as one big animation team and review and offer feedback on each other’s projects across the board, not just new champions. It’s hard to resist having a couple of games of League throughout the day. Before you know it the day has flown by, it always does when you do what you love I guess. Sometimes ill head home and fire up the work laptop and keep working as I get excited with how animation is coming along. Don’t go on vacation for too long or something will probably happen to your desk while you’re away! What software and plugins do you and your coworkers use the most? Tell us a little bit about your work process. For creating animations we use Maya. I grew up with 3DsMax but I definitely prefer Maya today. I find the graph editor is so much more user friendly in Maya and it’s generally more the industry standard for animation in games. It’s a lot more customizable and we have a whole tech team dedicated to helping us with new scripts, plugins and performance improvements on a daily basis. They also do a fine job in the rigging department working with us to create the best rigs I’ve ever worked with. We use the space switcher a ton, switching the parent of a control seamlessly in the world space. It’s super useful for holding objects and planting controls. Our champs always have things they’re holding and wearing, multi character setups, crazy props and all sorts to interact with. Another team favorite is Tween Machine which has been free publically for years and is truly awesome for making breakdown poses. We have great simulation tech we developed in house we call Jiggle, which is great for a fast simulation of animation on controls that need to behave as a secondary motion. What has been the biggest change in your work process over the past decade? I didn’t really show much interest or responsibility for all the technical parts of my job when I first started in the industry. I just really wanted to improve my craft as an artist and animator. I knew there was this deep tech side that I didn’t really want to get involved in. As you work with other developers day-to-day in a studio from all departments, relationships form and you start wanting to solve problems with each other and it becomes easier to gain knowledge and bounce ideas off each other to get the best results. The knowledge I’ve gained working with other disciplines especially the technical artists and riggers. Realizing how important and beneficial close communication here can be to improving/evolving your work practices. From a craft perspective I feel my pose to pose technique has improved a lot. I now find myself doing very stylized pieces most of the time with smear frames and insanely stretched posing. I feel most comfortable and satisfied when I animate in this style and it fits so well with League of Legends art style. When you receive a brand new animation assignment, what is the timeline of that animation from the time you first put your hands on it to when it’s released to the public? If something doesn’t satisfy our expectations by the time we projected, we won’t release. Only a small amount of studios have this luxury and I feel lucky. Our gameplay animations are about what reads best and feels good for the player. We are an eSport so ensuring that depth of gameplay readability and clarity is met. We usually do several passes on gameplay animations and then improve things as feedback comes in from the designers and testing team. Not responsive enough, too sluggish, not reading it, could be more impactful and so on. This is the process of how a champions design starts to get locked in. Generally we work about 4-5 months of development on each champion but there comes a point before the end of that process when things need to be in place from my end and design so other disciplines can start to work off what our final pass assets are. (Audio, VFX). We do acting pieces and set piece animations for things like emotes, recalls and deaths. Since these are canned animations that don’t tie into gameplay we don’t have any design implications to abide by so depending on the complexity usually a week or so is a good time to get one of those done. It’s all about quality and delivering value at the end of the day, if something takes longer to add its value in the animation space in our game then we will happily put the extra effort in to get it there. A great initiative we have for early public testing is our PBE server in which all our new content goes, and bugs and feedback are collected for 2 weeks until the content goes live. What has been the most challenging League of Legends animation for you so far? How long did it take to complete? I wish I could talk about something I’m working on right now for this one! But I’ll take a step back and go for the champion before the most recent that was released, called Rek’Sai (seen above), back in December 2014. This champion had 4 rear legs, 2 huge front arms both with 5 big digging claws on each hand and a serpentine body shape. I found it challenging at times to pinpoint the weight of this champion as it moved and how it controlled its many limbs. As with anything you do in animation you don’t want things to come across as looking weightless and since it was just a pure beastly creation we had thought up, I had to kind of invent how it would move and plant its weight in certain situations. All the animations I did for this champion took a good while. I remember the run cycle for this champ taking a bit to nail down. Many iterations and different styles on how she could traverse the landscape lead us in the wrong direction. Think it took me a good 3 weeks or so to get it right. What are your favorite resources for animation reference? First up, anyone who hasn’t read the book ‘Animators Survival Kit’ by Richard Williams, I highly recommend it. It worked wonders for me when I was really trying to get my head around the principles of animation. I love to check out animation pieces on 11SecondClub every now and then. Always some super talented artists on there. Also, just recently we had our Riot Games Art contest on Polycount and it was really great to be part of this and see all the amazing submissions. We are currently in contact with some of the artists who entered about doing some animation tests which may lead to some of them getting jobs here. Can’t fault the YouTube for reference, download the clips, covert them to Quicktime, and then frame by frame it for reference. Google image search can get you off to some great starts for finding core posing and ideas for initial block outs. CreativeCrash was a website that I used to check for free rigs quite a bit. Fill in the blank: The future of animation in the game industry is __________? In what ways do you think trends will change the most in the next few years? I see the future of animation in the games industry becoming more reliant on motion capture than ever before. Nearly all the blockbuster titles you see in the AAA space involve motion capture animation. There are lots more innovative animation styles coming up from indie space. I would love to see a trend catch on where the mainstream AAA videogames other than Nintendo’s adapt more hand keyed art style. That’s not to say I’m not a fan of motion capture however. It’s a fast and efficient way to create great animation and it is very affordable. And if realism is what you want you can’t go wrong. I’m a huge fan of what the guys at NetherRealm Studios are doing with the new Mortal Kombat titles. It’s a great animation style, and their use of motion capture combined with hand keyed elements is gorgeous. Is there anything else you would like your followers to know at this time? What should fans look forward to soon? Well we really try to make all our latest champion releases unique in their own ways. We don’t really want to re-introduce ideas we already have in the game so I hope people will look forward to the on-going evolution of the League of Legends gameplay. And as an animation team here at Riot Games, we hope the community enjoys our animations as we try to raise the bar for ourselves constantly. Getting a job in the games industry is tough and competition is fierce. Try to get feedback as much as possible from the community and artists around you. It will make you stronger. It’s important you don’t fall into a bubble and isolate yourself from communication. Keep an eye on things around you and never stop learning. Don’t get disheartened through rejection. I think myself lucky to be here every day and if I had stopped searching and given up when times were tough I’d not be doing this today. Thanks! For more information on the animations in League of Legends, readers should visit Rory’s dev blog. You can also check out more of our interviews at Animation Career Review’s Interview Series.